Because of my depression, normal everyday tasks often feel huge to me. In the past this has created a lot of stupid chaos in my life. Including living in disaster areas, otherwise known as my apartment. The advantage of growing older is that you learn coping skills. And one of those skills was to recognize that small improvements over time make A HUGE DIFFERENCE. So now my goals are tiny and I only task myself with noticeable improvement, not perfection. The holidays have not been particularly happy for me. And this has led to me not putting things away and not keeping up on the tasks that keep the chaos at bay. So the floor around the kitty litter didn’t get swept after I scooped and kitchen counters are littered with ingredients that didn’t get put away and the table is littered with various small gifts I got from work, etc. The things that slowly turn a home into a disaster area are starting to build up. So today is my day off and I started to do the things. But I don’t intend do an intensive clean and leave this apartment in shining order. I intend to improve the situation in a way that I will notice. So I swept the floor, I didn’t mop it. I will clear off the clutter but I won’t dust and polish the furniture. Next week or next month the improvement task will be polishing furniture or waxing the floor. But it’s OK that it’s not today. An interesting thing happens when I look at life as an ongoing process of improvement rather than a defined goal of perfection. I look for and find a thing that will improve it. And when I no longer need the thing to be perfect, doing it is less burdensome. I’m not chasing a fantasy of golden perfection. I just want to see a difference. I can find satisfaction in the improvement, rather than dissatisfaction at the perceived ways I didn’t meet the perfection goal. My brain is very good at twisting things into huge hairy deals. And I think that was part of what made keeping my environment in order when I was in my 20s so hard. To 26 year old me the house needed to look like a magazine cover or there was no point to cleaning. All of it should be cleaned to perfection at once. So cleaning was a huge task. And so I put it off and things just kept getting worse not improving. Now I just want my house to feel comfortable and neat. I no longer feel any burden if at the end of the day there is dust on the tables. Because that is a task that can be done tomorrow and no one is any worse for it. As a result my apartment is nearly always in a fairly decent condition. It may need to be dusted but there is never so much stuff on the floor that I need to step around it. The dishes are done and the kitty litter is always kept clean, there is no laundry on the floor and the garbage is always taken out. Because of that, now when I’ve had a bad month, the only things that need to be done to make it feel better about it will take me less than 45 minutes to sort out. Noticeable improvements. It’s the only way to live life. of things to do when my brain is functional. Inside my brain are a dozen or more nagging things I should do . Things that don’t get done because during the brain stillness, I function on a rail. I do the habits. I walk through the day by doing the next habit. I focus on conquering the small stuff. But depression is not a static state and when it moves into the zone of normal I very often get less done than I should because I can’t really seem to put my thoughts into gear to get those nagging tasks done. I can’t remember them. I think I need a list. It has to be on something easily accessible. So when the nagging thought shows up, I can put it immediately on my list. Thus removing it’s anxiety from my head. And when I realize I am in functional normal mode, I can grab the list and do something I wouldn’t normally get done. I also need the list to be already set up as a functional to-do. Ie – task broken into it’s component parts. I will try to do it on one of my phone apps I think. Although I find writing things down easier, I no longer carry any pad of paper. I have a phone after-all. But breaking down the task means it can’t be an app like Remember the Milk. It has to be a proper to do app. But that will be an additional electronic nagging rather than a place to put my nagging thought that safely removes it from the anxiety place until I can do it. I think finding the right app might end up being the first thing on the to do list? Or at least figuring out how to make an easy app like Milk work for this. Anyway – that is my current state of mind. I need more lists in my life. My brain is way to full of holes. For the 1st time in 7 years I put up Holiday decorations. I strung lights around my front window. I’m rather proud of that step into normal behavior. I haven’t involved myself in Xmas since my mom died. But I feel more human and interested in making a pretty place for myself. So I pulled out a box of lights I bought in an after Xmas sale, with the vague idea of making some kind of decorative element for the bedroom. Now I need to watch the kitten and how he treats them. He and Bijou were on the balcony while I put them up. It’s a beautiful sunny warm winter day and kitten hadn’t been out on the balcony much. Bijou supervised. NO GROWLS!! But I think it was serendipitous because then they weren’t involved in putting up the lights and didn’t see them bouncing about like a toy. You know. I really am a WHOLE lot better than I was 5 years ago. It’s been a long VERY slow slog that feels like nothing gets better. But it really does. And it has. I doubt I will ever be Mrs. 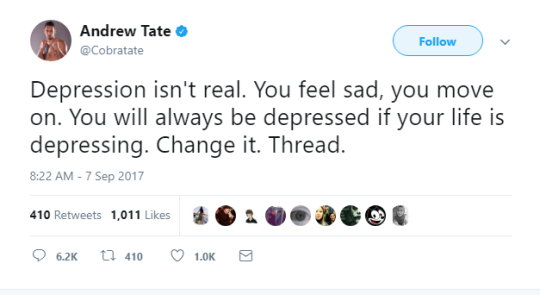 Mental Health. But I’m getting to be Mrs. Mental OK Sometimes. Maybe I will buy tiny tree too. My mouth is a disaster. A disaster created by lack of maintenance which is a byproduct of depression. When the stillness of depression overtook me I didn’t go to the dentist. My teeth are not great – very prone to cavities and so they need regular attention. But I didn’t go. Until a painful tooth pushed me there and I had to have the tooth pulled because I didn’t have the money for the root canal. That was the first of 3 teeth I had pulled in that fashion over 6 years. Those were the only time I went to the dentist. All of them were visits to the Urgent Dental Care. But the painful teeth wasn’t the worst. The worst was a cavity in my front tooth that was visible as a divot on the side of it. It made me feel shame. It made me feel like I couldn’t go on interviews because people would think badly of me for having a hole in my tooth. It made me ashamed to see old friends and family. It was a huge mental monster in head. The last tooth I got pulled was earlier this year. The dentist was very kind. He suggested we tackle my mouth one tooth at at time. He didn’t suggest a regime of dental cleanings or plan a giant trip tick of my mouth problems. He just said – when you have some money saved just walk in. And that’s when I realized that this was how I could make it work. The Urgent Dentist is obviously more expensive than most dentistry, but not exorbitantly so. (at least this practice.) But they offer something that is invaluable to me. They work 7 days a week, 5 of them until 10pm. They encourage walk ins. Convenient hours is a huge plus and when it’s tied to walk in it works with my brain dysfunction. It takes a whole lot of self talk and consideration and aborted attempts to get me to the dentist. And when the moment gels – I can just go. No need for an appointment – just go. An appointment would create a whole new layer of problems. I would miss appointments if my brain moved into stillness at the moment the appointment came up. That would make me a persona non-grata with a dentist. And I would create a larger thing out of potentially missed appointments than they might in reality be so I would just make that into a reason not to set up appointments. Yesterday, a Sunday afternoon, I walked into the dentist and got my front tooth fixed. It felt like a triumph. It’s been a source of shame for years and now it’s fixed. In an hour. It’s not the dentistry tradition I grew up with. And so it never occurred to me that I could do my dentistry by just walking in, but I can. So, now for the next few years, I will be saving money and when I have enough, doing next tooth. By walking into the office when my brain will allow it. I am not rich. But the extra money is more than worth this benefit to me. I wonder how many other people would benefit from it.